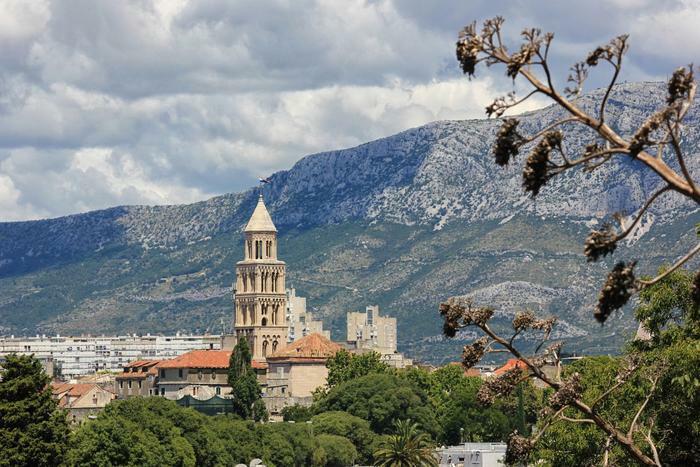 Want to come to Split, but are not sure which season to choose for your visit? That's why we've prepared a short guide about what you can see and do in Split through the year. After part one, now you can find out what's going on in Split during autumn and winter. The warm Split autumn is reserved for cultural events. In the beginning of September the Split Film Festival takes place. It is the oldest international film festival in Croatia. Its program is made of a selection of recent world filmography, many of which were shown on and awarded on the most prominent world film festivals. Yachtsmen can't wait for the first weekend in October because that's when the Mrdujska regata takes place which is one of the oldest boat - race in Europe. For those of you wishing for graphic art, October is preparing the International graphic bienale Splitgraphic 8 which consists of three international exibitions. This is just a selection of the most interesting yearly events of "the city below Marjan". Conscious of its attractive geographical position and a greater number of visitors, Split is constantly listening to the needs and constatations of its visitors, so it refreshes and enriches its entertaining, cultural and gastronomic tourist offer. No matter what season you choose for your visit to Split, you won't make a mistake! So take a look at our offer of low price accommodation in Split. Indian summer in Split lasts until the middle of October. Besides, the beaches are empty/deserted because the locals are getting back to work, and the children back to school. So don't despair because you didn't make it to take a dip in the Adriatic sea in summer because autumn bathing can be a far more intimate and memorable experience. Split is more peaceful and without crowds during winter. Besides, the prices are much lower than at the peak of season. You can find accommodation, eat in good restaurants, travel to surrounding areas very cheaply. So, if you want to experience the magic of little mediterranean streets, slow lifestyle, enjoy warm sunny days (the average temperature is around 10°C) and you want to spare a few dimes, winter is the perfect time of year to visit Split. But if you get bored of this way of life, there are lots of events in the city that break the monotony of winter days. Four Sundays before Christmas is the traditional time of Christmas preparations. The manifestation "Advent in Split" takes place then. It lasts from the end of November until the beginning of January. The most frequented downtown locations - Riva, Pjaca and Prokurative are richly decorated and give a fairytale impression. The most popular part of the Advent are little houses placed along Riva, Pjaca and Prokurative. Order a big-sized coffee with milk - traditional order of Split locals, enjoy the beautiful sea view, or warm yourself with mulled wine and rakija made by locals. Along with your drink, have a bite of traditional croatian treats, buy souvenirs for your loved ones. There's also a traditional Christmas concert in the National theatre, but also totally free of charge concerts, DJ shows and children concerts on the main downtown streets. The peak is the new year concert on Riva where you can together with the people of Split and best Croatian musicians say hello to the New Year. To culture lovers who find themselves in Split at the end of January, we recommend Night of Museums, a unique cultural event statewide when entrace to every museum is free. Explore exibits of 15 museums and other exibitional spaces. After your cultural education, have some fun in one of Split's night clubs. Mellow Split winters are a great season for various activities in the open, like cycling, hiking and running. To hike lovers we recommend a trip to Marjan, a hill above Split encircled with sea. On its southern slopes you can wear t-shirts in the middle of winter! If you want to visit Split in February, be sure not to miss Spli'ski krnjeval, a carnival festival. After the mayor hands the keys of Split to maškare (people in colorful masks and costumes) in a solemn ceremony, it's time to get the party and dancing started! This event is special because each year it is different and richer in content. Take advantage of sunny days for taking a walk on Marjan on its walking paths or for sightseeing the city's monuments, while you can spend the evening trying out drinks and food at the little houses on Riva and Prokurative.